The Woburn Rug collection has an exquisite classic design and is finished to a luxurious high quality making any rug from this range a wonderful investment for your home. 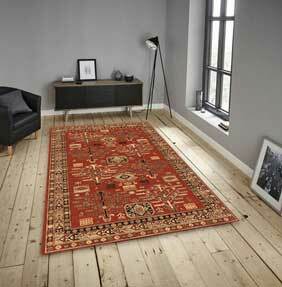 Each Woburn rug is machine woven in Belgium using the latest Wilton looms. 100% New Zealand wool pile ensures a highly luxurious and soft to touch finish. Intricate and eye-catching traditional designs make the rugs a beautiful way of adding character and class to any room in the home. The pile is soft and particularly dense making any Woburn rug a wonderful choice for high traffic areas and busy spaces in the home. All Woburn rugs are available in a choice of colours and sizes.